Amid a wave of unprecedented terrorist attacks on American soil, a panicked and inexperienced president declares a state of emergency and hands over control of the country to the Federal Emergency Management Agency (FEMA). The quiet and unassuming Administrator Hall soon becomes the most powerful man in America. 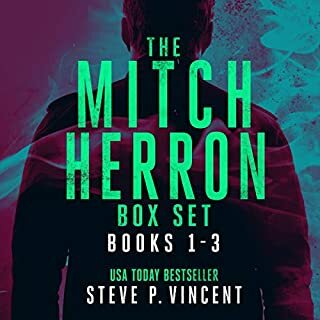 Determined to stop the attacks, Hall enforces his order across the US, using a newly empowered State Guard to deal with anyone who gets in his way. It's interesting to jump into a book two where you don't really remember much about book one. Thankfully with books like these is that they don't always completely build off of each other. There are always character growth (and relationships) that will persist from book to book, but the plotline is usually so different it doesn't need to be read back to back. Vincent did a good job of reminding me of the things I missed or couldn't remember (relationships, former issues, etc). The premise of this book was super interesting to me - I've read a lot of post-apocalyptic books where FEMA is involved but nothing like this. Sure, it's not a Post-Apocalyptic book but this was an about-face from the typical books where FEMA is involved. Basically, there are terrorist attacks that just won't stop - and FEMA jumps in to help. I can't really talk too much more about the plot for fear of giving more away but things just go off the rails. This book had a little bit of everything. There was a love story, major thriller aspects, a government off the rails, and a resistance trying to stop said government in any way possible. 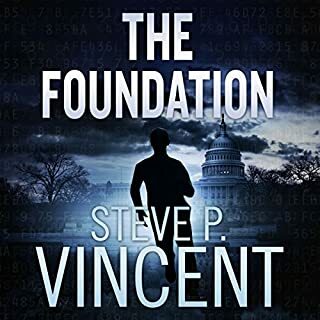 Vincent wrote a story that flowed well and kept my interest from beginning to end. I wanted to see this one through. I needed to know what was going to happen. It felt hopeless at times. I really didn't know what was going to come of the US or the main characters. I kept thinking that the book was over and it wasn't. There were so many false endings that Vincent had me questioning everything. I like when a book can do that because it means that it's something new and different. When a series switches narrators - it's usually a big pet peeve of mine - but thankfully it had been long enough from the time that it didn't really bother me. Also, there was only one book done by another narrator - so it wasn't like there was this epic 10 book series that Vincent switched for book 11. With all that said, Todd Menesses has a great voice and it lends itself to this book well. Overall, a book that threw me for a loop. A book that kept me interested until the last few minutes. A book that made me feel. State of Emergency was a unique book that I enjoyed. I requested a copy of this book - it has not affected my review in any way. The story was well thought out as Jack Emery once again finds himself in the middle of another plot to take over the government but this time from within and from FEMA no less. Not to give too much away but I don't think anyone has ever seen a FEMA like this in the states and hopefully, we never will. The FEMA take over is not due to a natural disaster but due to acts of terror and with the clamp down on the media that FEMA imposes it makes things even harder for our hero as he becomes public enemy number one just trying to get out the truth. Scary thought when all news stories have to be "approved" by FEMA/FEDS before they can be published for all media both TV, print and internet. The narration was nicely done and each character was distinct and easy to decide who was who...really liked how the main villain in this was portrayed, unassuming to many until his plot is figured out. In all, a good listen and worth the credit. 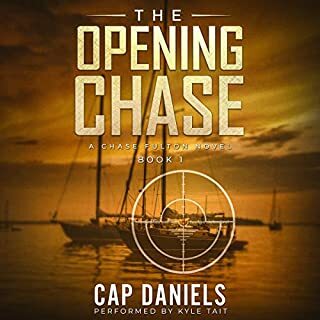 I enjoyed this book, like the first book it is slow to start but soon has you hooked as you are never quick sure which direction the author is going to take the story and with a few twists and turns it keeps you on your toes. This is the second book but you don't need to have read or listened to the first to enjoy, I did like the fact a few of the original characters made it into this book. The story jumps from different character perspectives so you always was knew what was happening and why. A great political thriller that so easily could come true. 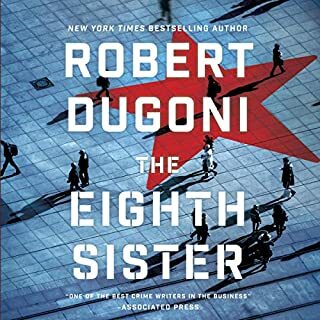 The author choose to use a different narrator from the first book and it took me a while to get use to the new reader. 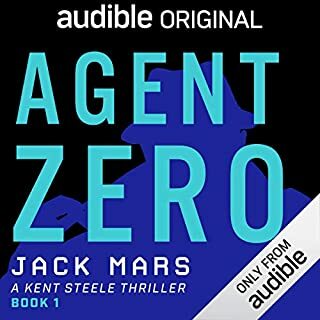 Even though he did a good job and you could tell who was speaking I am not sure Jack (the main character) needed such a deep voice and it made me laugh at the beginning. 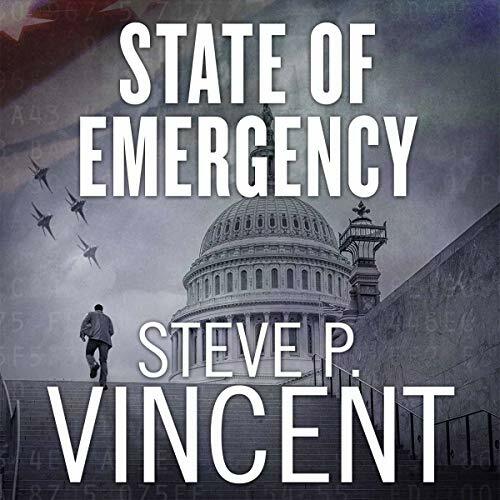 State of Emergency by Steve P. Vincent is a gripping thriller that has some romance interwoven. The premise of this book with FEMA taking over the United States government was very original and thought provoking in a scary manner. I loved the imagery and action in this book. Todd Menesses did a great performance. I could hear exactly who was speaking. 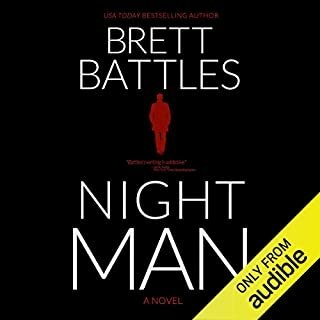 He had the right emotions and voice inflections for this thrilling suspenseful listen. I highly recommend this book. This is the second of the series and a standalone listen. I will definitely listen to more books by this author and narrator.